Summer must be coming back soon, right? I'm throwing things into online baskets from holiday shops willy nilly, so it'd better be. Wanna see? I didn't realise until I'd made my selections just how BLUE these picks are! It's definitely my most worn shade (I've even got a Pinterest board dedicated to blue clothing - go take a look). These summery selections are all likely to make it into my holiday suitcase. 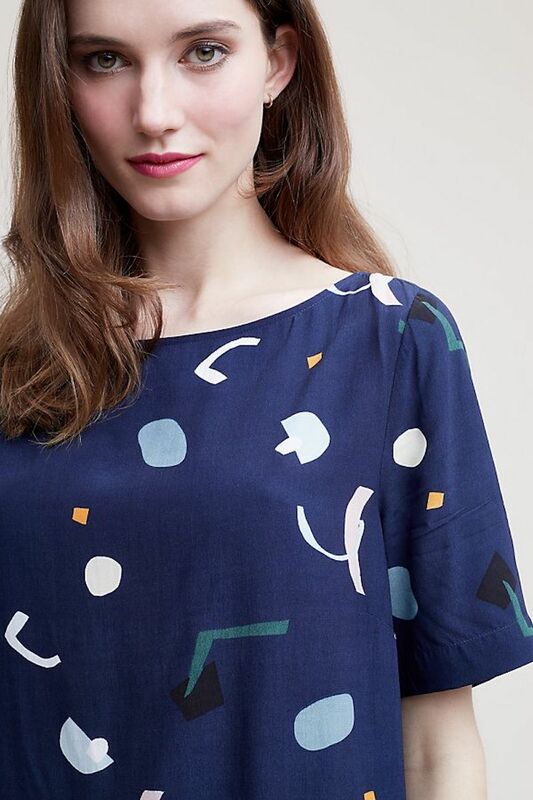 Hello beautiful abstract top! Isn't it gorgeous? I've been working in Bath recently and can never resist a quick browse in Anthropologie where this little number caught my eye. I love how geometric the pattern is, plus those lovely tones of blue, green and grey, but I also really love how versatile this top could be. Dress it down for the beach with jeans or a denim skirt, dress it up for dinner with trousers or a pencil skirt. Love it. Well, you'd feel like the belle of the beach in this blue frock of dreams, wouldn't you? It's such a classic look but also modern somehow (well done Johnnie!). I can imagine this one would coordinate with the beautiful blue and white tones of Santorini. What do you mean, you don't coordinate your outfit with your holiday destination? Also comes in red, perfect for... Mexico maybe? There's something so perfectly Lucienne Day about the pattern on this skirt - fifties, mid century modern, arty. 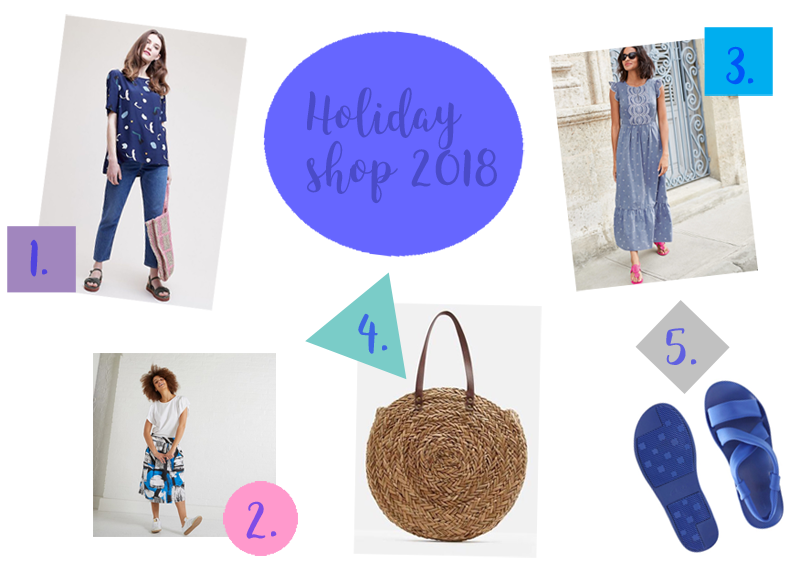 Ideal for a stroll around Tate St Ives or a little trip to the Barbara Hepworth Museum, I love how it's been so simply styled. I can really see myself wearing a classic outfit like this one, just a plain white tee and white pumps. Like something out of The Talented Mr Ripley (god, I love that film). These classic round woven baskets just won't quit, will they? They were everywhere last year and seem to be standing the test with another go this summer. 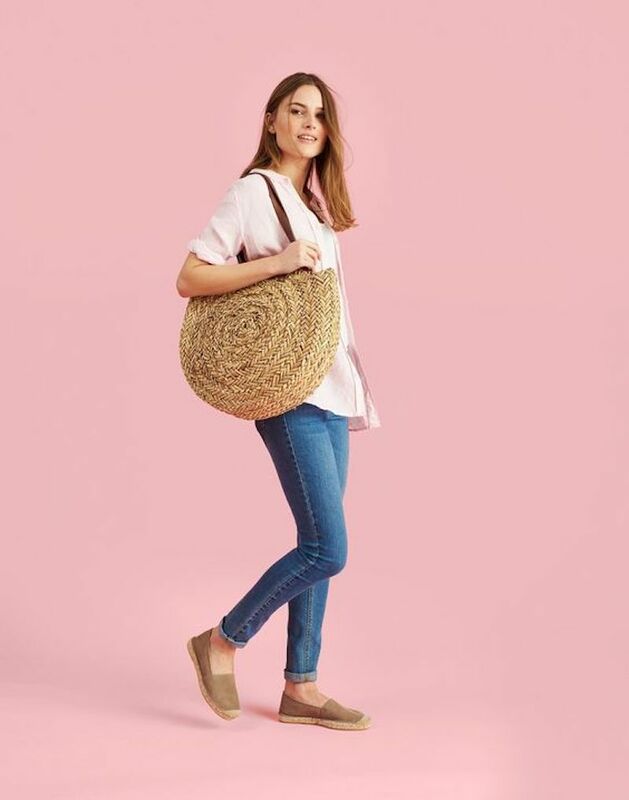 This one by Joules is a huge swirl of seagrass that I'd love to have hanging off my arm on holiday, plus the handles aren't leather. Whoop! I love how oversized and roomy they are, too. Big enough for all my holiday nonsense - from sun cream to hammam towels to kindles. It's hard to find decent vegan-friendly sandals at this time of year - they're pretty much all leather (sob!). 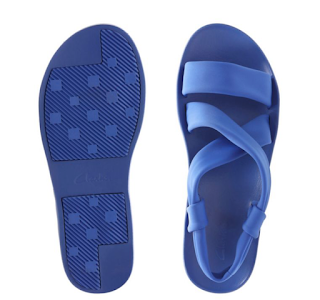 These cobalt beauties from Clarks are just so incredibly bright, aren't they? But have I gone blind? 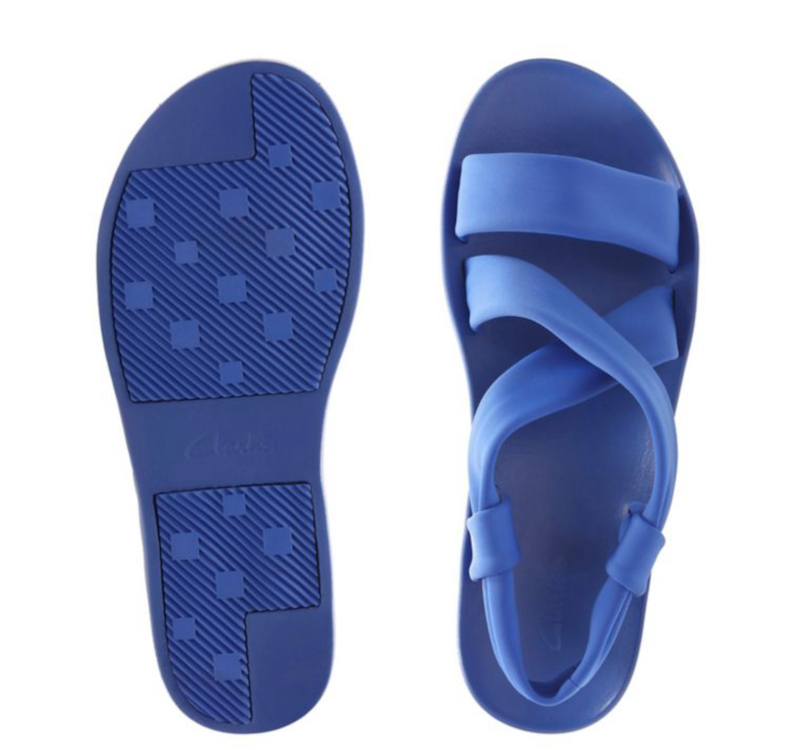 I'm sorta grossed out that they call them 'sports sandals' (really??) but look at the silver pair! I'm with reviewer Lesleysue22 who thinks they're good to go from beach to night out. Easy peasy. So what do you think of my picks? Are you a fan of blue? (If not, you'll probably hate them all!) Where are you going on holiday and what are your summer essentials? Leave me a comment!